This addon works as intended and looks great on the site. This add-on allows you to display your Google Place reviews on your website. 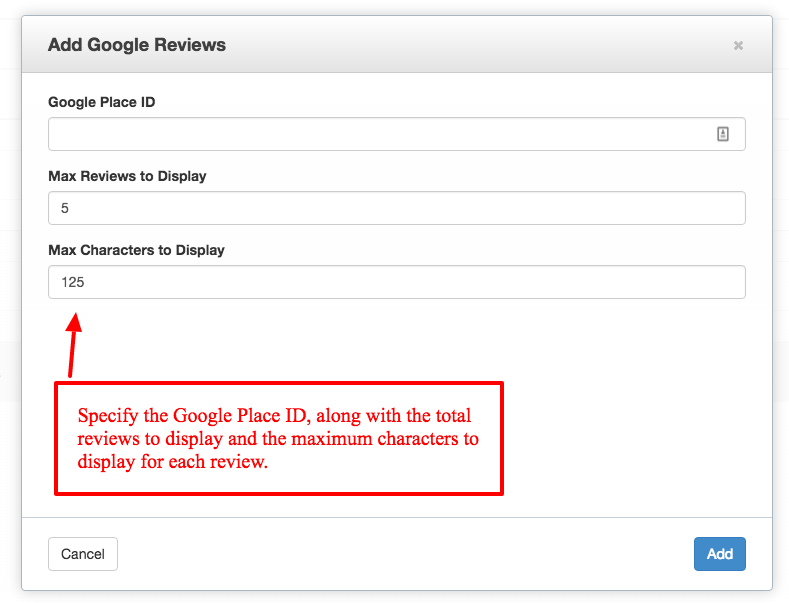 Enter your Google Place ID into the block options, along with the number of reviews to display, and maximum characters to display, and a listing shows with the reviews. Each review includes the text part of the review, the number of stars for the review, and a link to the author page. Please note, due to limitations of Google's API, only a maximum of 5 reviews can be shown.